Sharing Knowledge improves Knowledge... Knowledge should come at as less cost as possible. 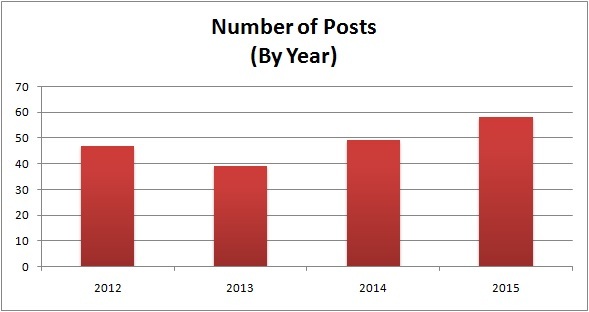 Thanks to all the people who made blog writing an enjoyable experience for 4 consequtive years. Its time for me to take another short break. The graph here shows the number of posts since this blog page has started. I will see you again in 2016. Wish all readers a Happy Year Ending and a Happy New Year in advance. Meanwhile take the time to go through my earlier posts that you have missed. 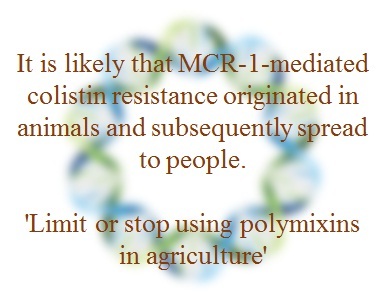 Just a couple of weeks ago, I wrote a blog-post on MCR-1 (Mediated Colistin resistance). The first time demonstration of the gene in plasmid has pulled the attention of Clinical microbiologists worldwide. There was a lot of discussion on what this means. 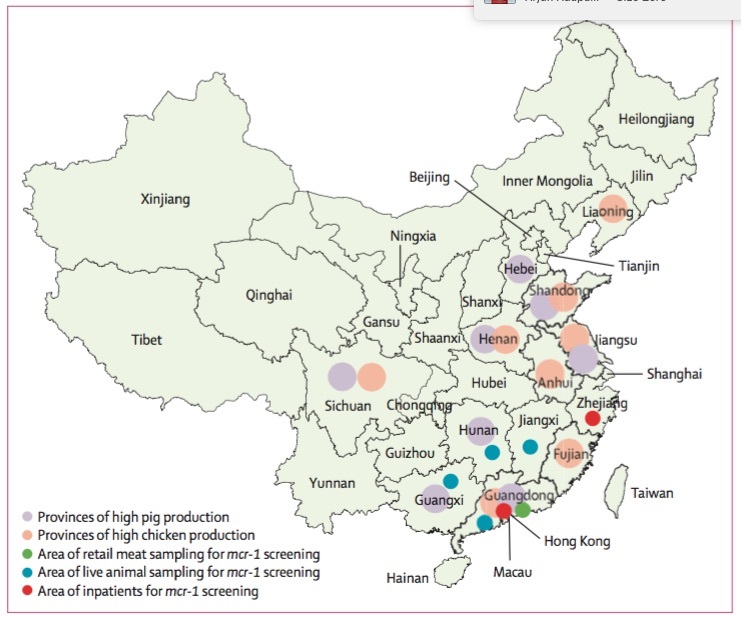 Fig 1, from original paper summarises the surveillance data, the extent of spread in China. The news that the dangerous colistin resistance gene has been found in Denmark is alarming. This newly identified gene, called MCR-1, is on a mobile piece of DNA that can make copies of itself and then jump to from bacterium to bacterium, spreading resistance. History shows that these mobile resistance genes can spread around the world quickly, silently riding in people, animals, and food. The news that MCR-1 has been discovered in Denmark suggests that this scenario is playing out in real time. In the latest, there is a lot of discussion about surveillance and many different groups have already started to look into evidence of this gene in their colistin resistant strains. Some people are calling it the next NDM and have opinions on the likely global spread already. I have so often talked about in this blog about the microbe-microbe interaction and often have presented with an idea on how there is a lot of competition with each species trying to get ahead of the other species. For example, Pseudomonas aeruginosa is a highly competitive organism and usually tries to dominate other species nearby, thereby providing a survival advantage. We often consider infections as uni-microbial in nature. It is my understanding that for the majority of the cases it does, but not always. In natural habitat polymicrobial act is a common feature. Nature has a lot of examples of Multi-microbial interactions. Let us take well known examples of symbiosis. The tie up between the 2 organism is so unique that one doesn't survive without the other. An extreme case of this is endosymbiosis. One of the finest example, I recall is from an article called "Bug in a bug in a bug". The organism in discussion is Planococcus citri which has an endosymbiont- Tremblaya princeps which in turn harbours an endosymbiont of its own- Moranella endobia. Interestingly none of the can survive independently without the other. There are many such examples outside endosymbionts where organisms interdepend on each other for survival. Illustration 1: The Red Queen Hypothesis. Perhaps, everyone has heard of the Red Queen hypothesis. Its one of the most famous theories of evolution. The hypothesis states that for a species to survive it has to constantly evolve, which is just enough to stay in the competition for survival. There are books written on this concept. Let us take a quick simple example. Let us assume we have 2 bacterial species (X and Y) in a petri-dish, well mixed with an equal interest in proliferation. The survival advantage for both the species is kind of 50-50. By the course of mutation (Check my earlier posts here and here), let's say X is able to produce a bacteriocin which potentially attacks Y. Logically, Y evolves overtime a defence mechanism. X further evolves a counter defence mechanism and Y evolves a counter-counter defence mechanism. This process can infinitely loop out just to survive. There are extra genes and control mechanisms evolved by both species just to keep themselves in competition but the net effect is "Nothing". As good as each were at the start of competition. The more number of variables you add to this equation more complicated it gets but the idea will remain the same. There is no doubt as to if the above scenario is true, since this has experimentally demonstrated to be the case in a huge set of examples. Now think about this for a moment. If the two organism decide that they are not fighting each other, but rather share their work then each of them would get better share. Let us build another scenario with X and Y bacteria. X decides that it is going to do all the amino acid building stuff and Y decides that it will do all the lipid stuff (both in excess of requirement). So X is going to drop all those genes that is required to manage lipids and Y will drop of amino acid part. Once again the species are interlocked but in a symbiotic manner. X supplies its extra to Y and vice-versa. This has a special advantage, there is no competition to build genetic systems at an extra cost (Since you could drop some genes) which anyways is of little value over a longer period of time. This is the basis for Black queen hypothesis. Black Queen Hypothesis, as per Morris etal; 2012 argues a theory on how organisms become dependent on each other. As Richard Losick comments "It's a sweeping hypothesis for how free-living microorganisms evolve to become dependent on each other. The heart of the hypothesis is that many genetic functions provide products that leak in and out of cells and hence become public goods". 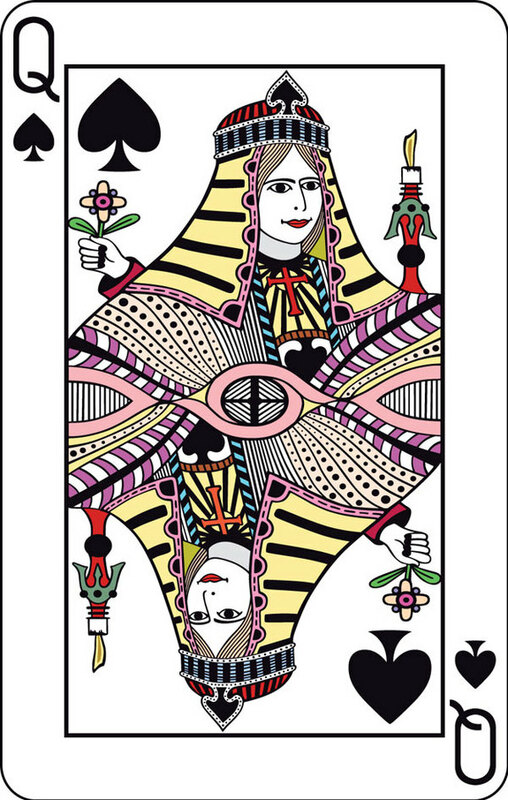 The idea is termed black queen to reflect the Heart- cards game where you need to have a minimum points to win. In microbial terms, you harbour minimum set of genes and still survive with the help of other. There is some mathematics in the original paper but let us ignore it here. This airs a fresh new question. This theory looks ok when we talk about a couple of organisms involved. What happens to the scenario where one organism is helping a lot of others by taking up their function. This idea is well explained in the paper as "Shooting the moon strategy". Though it appears that this is a risky move for the universal helper (since it is the one that is doing everything needed), it can be a great move in ensuring survival. So even if such a helper is rare in the system, its survival will be ensured by others who are benefiting from the helper. 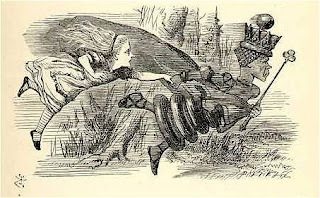 In summary, The Red queen hypothesis is a statement of competition while Black queen hypothesis is that of coordination. Here is an interesting thought that I had been thinking about- Viral evolution. There is a huge debate on evolution of viruses. A great deal of scientists agree that viruses are involuted living organisms and another set of scientists argue that Viruses have evolved from chemical bags. I will present here some arguments from both sides and then come back to why I'm talking about it here. First let us consider the argument that Viruses are previously living organisms that have lost multiple genes (If virus as we know it now are alive, is a totally different debate) . The idea goes something like this. Viruses where once intracellular parasites that had all the necessary genes for self replication. As evolution passed viruses relied more on the cellular machinery and started loosing genes, some of which was still available in host cell. The assumption in this argument is that loosing a gene is easier in comparison to gaining. Further, recent findings of viruses with very huge genomes is in support of this theory. It is argued that they lost a few genes. The other side of the argument is viruses are simple bag of chemicals that evolved to a certain extent and then found that it doesn't need to add up more genes since they could use it from host. One of the best arguments in this side of the prediction is viroids which can be simplified no further as a replication unit. The assumption here is gaining genes is quite easy. According to me we can avoid the assumption of timescale in both arguments since the evolutionary time that we are talking in each case is very high and thus will not effect our current observation. A good summation of the arguments is presented here. 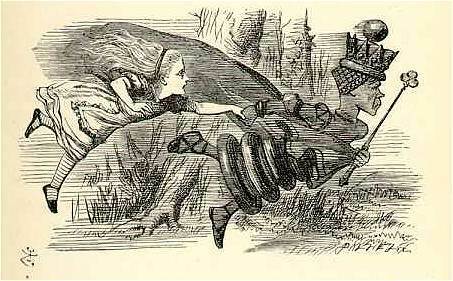 It is commonly argued that virus follows the Red queen hypothesis. Virus competes with host for survival. This to me, is consistent with the idea that viruses have evolved from simpler chemicals. But if I consider that viruses have involuted, then it kind of looks like a negative black queen hypothesis. The virus must have started loosing genes as a mode of sharing but somewhere cheated, since it allowed them to replicate at a really low cost. And now has turned out to a Red queen strategy. Just a thought. Recently, I had a conversation with a person on the topic of "Immune previlege sites". Often the textbooks teach us that there is some kind of special areas or tissues in the body where immune system doesn't seem to be active. How can the immune system not do its regular business in some sites? One of the best example that the classic textbooks cite as Immune previleged is the Central Nervous system. Yet Neuroimmunology is a well defined concept. For a start, that makes a pretty good concept for a "Back to basics post". 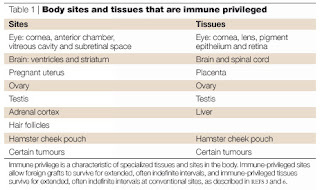 Immune privilege is defined classically as tissue site that is protected from immune attack. It should be noted that immune privilege is a context term as per the modern definition. CNS inflammation is a common feature, in cases of infection illustrating that the immune system can still be active in CNS. Paradoxically, tumour cells can secrete immune suppressive factors and thus can have a local privilege environment. Hence the modern contextual definition. An important point of understanding is the question- "What is the relevance of immune privilege in physiological context?". Immunological reaction is aimed at destroying a target, that is considered as non self. That means anything that is considered as non self based on antigenic display, immune system will be called into action. There are a couple of considerations. During the period of immune training, there are some antigens that are never shown to the immune system (even though they are self) and hence the immune system is not tolerant to these antigens. Such antigens are called as sequestered antigens. One classic example is the eye lens protein. Sometimes the immune system is not allowed to patrol with because of a barrier. Example is Blood-Brain-Barrier protecting the CNS. Immunological reaction is often like a battlefield. Higher the severity of reaction stronger is collateral damage. This is why immune system is often referred to as "Double edged sword". If Inflammatory activities are allowed in region such as brain where neurons may be damaged it is safer to restrict the activity. It must be remembered that neurons don't regenerate. Thus the restriction and privilege. Another case is that of testis where sperms are produced. Sperms are recombinant haploids derivatives of male cells (If I can put it like that). This means, there are going to be antigens on sperms that may look different from the parent cell. If the site is not privileged, sperms would be immunologically attacked even before they got a chance to do what they were meant to do. When this mechanism goes wrong, testicular autoimmune disease may result. In short immune privilege is a physiological mechanism of protecting tissues where collateral damage due to immune activity is to avoided. There is a great deal of debate on if the concept of privilege is true as we understand it, especially based on recent findings at least on few cases. For example, it was universally accepted that the brain is heavily protected against immune access. The recent findings evidencing that the brain itself has a lymphatic system has toppled the idea. Antibiotic resistance is a topic of great interest and perhaps one of the most talked about topic in this blog. One of the most talked about resistance in last couple of years was the resistance to carbapenem class of drugs. It then became a massive issue with emergence of strains called as NDM (New Delhi Metallo Beta Lactamase). The use of this name is still debated. Important point is we now live in an era of superbugs, and rapidly running out of options. Gram negative bacteria, especially Enterobacteriaceae members are one of the most difficult to treat pathogens, since they are known to acquire resistance quickly especially through plasmid mediated transfer. When resistant to everything else colistin is considered as the last option. Colisitn (Polymixin E) was discovered in 1947 from Paenibacillus polymyxa. Chemically, Colistin is a mixture of cyclic polypeptides colistin A and B. However, it was rarely used due to its toxic properties. When medicine ran out of options, the drug was repurposed. But colistin resistance was not uncommon. Several bacteria have innate resistance to colistin. Some bacteria have recently developed resistance colistin resistance through target modification or an enzyme- Colistinase. Klebsiella pneumoniae strains resistant to colistin is a story of the past. Fig 1: Structure of Colistin. The exact mechanism of colistin activity has not been described. It is proposed that Colistin being cationic in nature binds well to the polyanionic bacterial LPS and acts through a detergent-like effect, via a two-step mechanism. Colistin activity is not dependent on the metabolic activity of the bacteria, thus making it a great antibiotic. It is argued this property also makes it difficult for the bacteria to acquire resistance. Interestingly, the genes coding for resistance was described only in the chromosome and hence resistance transfer was considered minimal possibility. 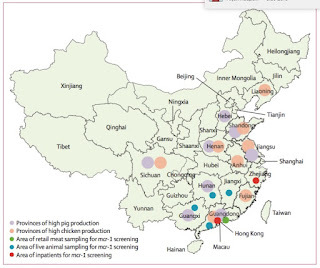 But colistin resistance has been increasingly reported though the prevalence varies from region to region. Co-author Jian-Hua Liu expressed the findings as worrying "The last class of antibiotics in which resistance was incapable of spreading from cell to cell." Another researcher Timothy Walsh comments, "If MRC-1 becomes global, which is a case of when not if, and the gene aligns itself with other antibiotic resistance genes, which is inevitable, then we will have very likely reached the start of the post-antibiotic era. We must all reiterate these appeals and take them to the highest levels of government or face increasing numbers of patients for whom we will need to say, 'Sorry, there is nothing I can do to cure your infection." 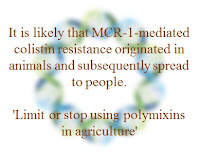 A yet another co author Jianzhong Shen says, "Because of the relatively low proportion of positive samples taken from humans compared with animals, it is likely that mcr-1 mediated colistin resistance originated in animals and subsequently spread to humans"
Currently, a lot of scientists are recommending global surveillance and stop polymixin use in animals. Certain scientists also raised hope by pointing to earlier emergence of Plasmid mediated Vancomycin resistant S aureus which didn't globalize. Patel from CDC comments, “That’s our classic example where we were very, very concerned and then it didn’t spread”. But its well acknoweledged by everyone that desperate multi level control of antibiotic and surveillance will help in limiting the spread. One of the greatest focus on research in medicine is currently cancer treatment strategies with companies interested to shell out millions over research. However, it has been a very difficult to beat disease. Just like in the case of infections, cancer cells often turn out to become resistant to treatment drugs thanks to its ability to mutate too fast. Also, it has become clear in recent years that several infections such as oncogenic virus and some bacteria have a role in oncogenesis or development of cancer. Table 1: Oncolytic viruses in development. Of late, one of the treatment strategies that has been tried and tested is a therapeutic called as Oncolytic virus therapy. Though this technology has a scope for improvement, recently one of them - Talimogene laherparepvec (T-VEC) which is a version of the herpes simplex virus (Officially known as IMLYGIC™) is approved by FDA for Clinical use in metastatic melanoma, raising hope for this strategy. There are several such viruses in current research (Shown in Table 1). One of the top concerns in cancer research is colorectal carcinoma. With 1.4 million new annual cases worldwide, it stands one among the top in the world. The options for treatment is also quite low. Also in this case chemotherapy and radiotherapy don't work well due to hypoxic condition often seen in this particular tumour environment. Scientists from Nanyang Technological University argued that the environment is right for growth conditions of anaerobic bacteria. Based on previous reports, they further argued that clostridium sporogenes which is known to accumulate near tumor cells is an excellent candidate. Being a proteolytic species, it can also cause cell death. But there is an issue. Once the infection is established, though tumor cells are rapidly killed it can cause frank infection which can be devastating. Recently, a study was conducted using C novyi strain against rat brain tumours and a variety of solid tumors in dogs. The success lead to a further human clinical trial on a patient with late-stage metastatic retroperitoneal leiomyosarcoma. Though tumor was downsized effectively, infective complications appeared which was managed with antibiotics. Based on the above, heat killed C sporogenes was tested in a tumor model (3D tumor model), and found that within 72 hours, nearly 74% of the virus was destroyed. The team also tested bacterial secretions on tumor cells showing a significant effect. In a sense, the dead bacteria continues to secrete degrading compounds which is killing the cells. I see some problems that needs to be addressed here. It is not clear to me what the bacterial secretion include. So, it would be interesting to know what happens in context with normal cells. In case of alive bacteria, the tumor specificity of bacteria ensures sparing normal cells to an extent. Toxoplasma gondii is a topic about which I have posted several times in this blog space. The ability of this protozoa to infect a wide range of species including humans is astounding. Felines are expected to be the most common host, and classically acquired by ingestion of contaminated source it can also spread through several other means. T. gondii can only sexually reproduce in the gut of felids. Its ability to be latent without any apparent manifestation has been considered important. On a global scale, toxoplasmosis is expected to be present in roughly 22% of healthy population. Multiple studies has shown that a proportion of healthy blood donors are serologicaly positive. This speaks for itself. Fig 1: Toxoplasma invasion into the cell. The most common route of infection is through ingestion, where the invasion begins by entering into enterocytes. It can also breach through epithelial layers. Ultimately, the ability to be motile and circulation through lymphatic system allows the pathogen to invade any kind of tissue. Toxoplasma stays inside a self created vacuole called the parasitophorous vacuole (PV) which prevents endolysosomal fusion. The process of cellular entry is complex in terms of molecular interactions. The rhoptry of toxoplasma secretes several proteins to aid the process. Some proteins also travel to the nucleus to modulate host cell activity. PV serves as a safe house for the parasite. Surprising it may sound, PV recruits host mitochondria and endoplasmic reticulum providing the required nutrient support for the parasite. Toxoplasma immunology is a little messy and not completely understood (Oh!! You could say nothing is completely understood in biology). 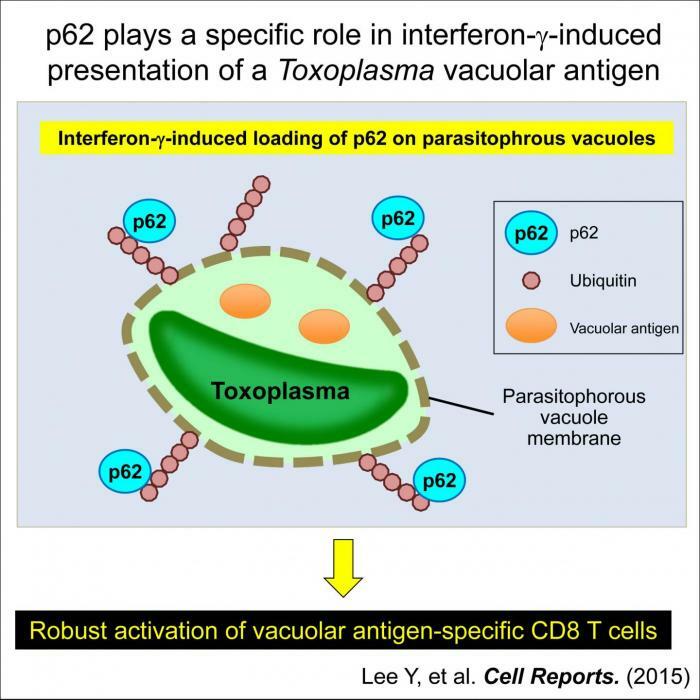 The best defense for the cell is to disrupt the PV thus exposing the toxoplasma to immunological attack. This attack is best tailored through IFN-γ, which can activate cellular immune cascades. The best defined molecules in action include IFN-γ induced GTPases- immunity-related GTPases (IRGs) and guany-late-binding proteins (GBPs). Toxoplasma possess counter acting molecules. 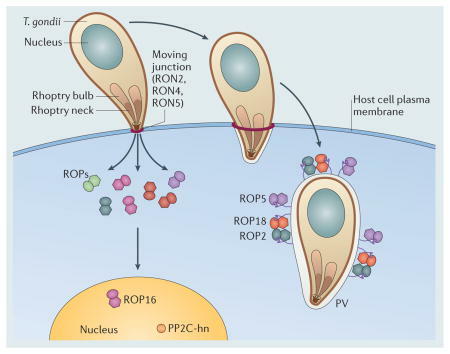 Rhoptry molecules especially ROP18 and ROP5 are of great interest. ROP5 is a pseudokinase which modulates the catalytic activity of ROP18 which in turn effect the phosphorylation of immune proteins such as IRGs (such as Irga6, Irgb6, and Irgb10). This effectively silences immune responses. Basically, ROP5/ROP18 increases the survival time of the parasite inside IFN-γ activated cells especially macrophages. Needless to say, there is a need for good and high IFN-γ. New research has spread some light. 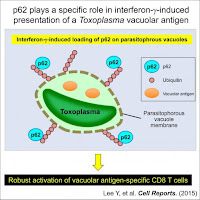 The team led by Masahiro Yamamoto showed that p62, a host molecule, has a potential role in exerting immune effects of an experimental pathogenic parasite toxoplasma-inactivated vaccine. P62 also known as Sqstm1 (Sequestosome 1) is one of the well known molecule acting as a selective autophagy adaptor involved in autophagy and intra-cellular immunity. The study in summary shows that P62 and ubiquitination of PV is important for getting the immunity right. Despite the ubiquitous nature of Toxoplasmosis, there has been no effective vaccine developed till date. There are several reason's for why we don't have a candidate vaccine. some of them include, lack of basic knowledge on candidate targets and immunology. This study pushes this void a little bit further and perhaps also provides us an idea on potential targets to be looked at. Oh yes, We are a step closer. Immunological studies often requires a set of cells called as Peripheral blood mononuclear cells or what is commonly known as PBMC. PBMC research currently forms one of the platforms for immunological research. Molecular pathways of inflammation, transcriptional activity etc in response to infections, antigens and many more form the basis of understanding modern molecular immunology. I was recently discussing regarding PBMC isolation with a friend and he told me that its not a very common knowledge as I had expected. So let us take a quick review. Whole blood obtained from venipuncture has many different types of cells in it. The RBC, WBC and platelets. RBC forms a huge major bulk. 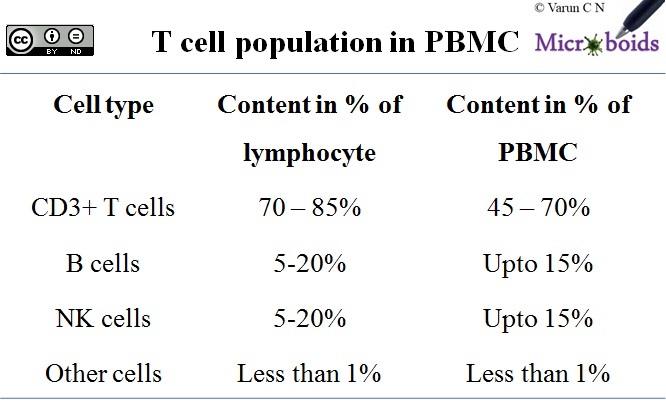 PBMCs primarily include lymphocytes (60-90%), monocytes (10-30%), and dendritic cells (<2%). Within the lymphocyte population the sub populations exists in variable concentration as shown in Table 1. Normally, PBMC's are devoid of granulocytes. For experiments requiring the use of Neutrophils or Eosinophils there is a different way of doing it. The most popular technique used for PBMC isolation is the Ficoll-Paque density centrifugation method. Principle of the method is as follows. 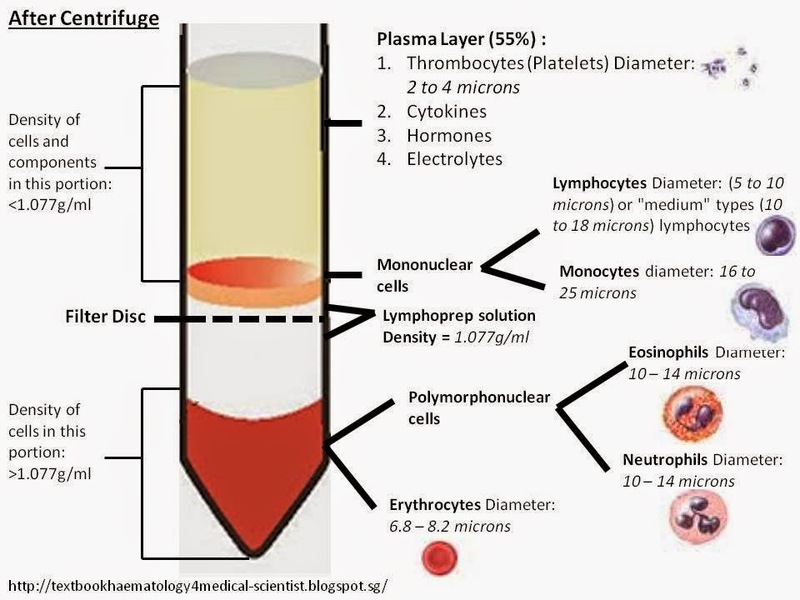 Anti-coagulated blood, in Ficoll leads to differential migration of cells during centrifugation resulting in the formation of multiple layers as shown in Fig 1. 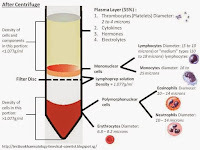 The lymphocyte and monocyte population with denisty of 1.077g/ml forms a layer, cells in which is called as PBMC. Basophils density can vary and are hence sometimes present in this layer. The most important component of this whole procedure is the Ficoll-paque (Histopaque). The contents of this solution include- Ficoll, Diatrizoate Sodium, Edetate Calcium Disodium. Ficoll is a neutral, highly branched, high-mass, hydrophilic polysaccharide which dissolves readily in aqueous solutions. Ficoll PM400 and PM70 are high molecular weight sucrose-polymers formed by copolymerization of sucrose with epichlorohydrin. P400 is considered better than P70. P400 because of its high molecular weight (~ 400 000) and low content of dialyzable material does not normally penetrate biological membranes. Also by itself, PM400 can act as a cryoprotectant. For a detailed contrast between PM400 and PM70, check this article by GE Life science. Before using the whole blood, for procedure in my experience, yield is better when you reduce other components. First centrifuge the whole blood and remove as much plasma as possible. With little expertise I have seen some people also are able to remove a lot of sedimented RBC. The rest of the blood sample is diluted 1:1. For dilution usually balanced salt solution or PBS is recommended. In a separate tube add about 15 ml of Ficoll solution and allow it to come to room temperature. Slowly add the diluted blood sample through sides of the tube such that blood overlays the Ficoll solution. Believe me, this step is crucial. The slower and more gentle is the addition, better is the results. Centrifuge the tube at 800g for 25 min at room temperature and remove the cells from layer into a fresh tube. Wash the cells with balanced salt solution or PBS. Done properly recovery rate is more than 95% with good viability. The one disadvantage of this method is the need to be very careful during the overlaying of diluted blood on Ficoll. This aspect has been improved upon by techniques such as Sepmate which creates a barrier between Ficoll and blood thereby allowing rapid pouring. A method that reached the farthest, is a vacutainer tube called as CPT (Cell preparation tube). This is a one step process, where blood is collected in tube, centrifuge and take the cells out. Studies indicate that there is no significant difference in quality of cells extracted by any of the methods, though they reduce the time required. For studies where Neutrophil is required, the bottom layer is extracted containing RBC and Neutrophils. RBCs are then specifically lysed using methods such as Dextran- NaCl method. Rarely it happens that the PBMC are processed for whatever is the experiment immediately, though that would be the ideal case. 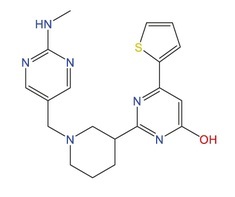 PBMC are best preserved in RPMI 1640 or FBS with DMSO. The best freezing condition of PBMCs is 40% FBS with 10-15% DMSO (i.e. 12.5%) with cooling rate of 1ºC/ minute is recommended. For long-term storage freezing in liquid nitrogen is best. Even with excellent storage the viability after thawing would be only about 70-80%. Viruses represents the ultimate of pathogens. They represent simplest of chemical replication machinery, totally host dependent. Interestingly, some viruses themselves have their own set of hackers called as Virophages. It is widely acknowledged, there isn't any life form on Earth that doesn't have its own set of viral infections. Among the different category, bacteriophages is the current leading interest. They can be useful as a therapeutic agent. See my earlier post on Phage therapy. However, far less people understand the basics of a bacteriophage or what we commonly call as the phage. 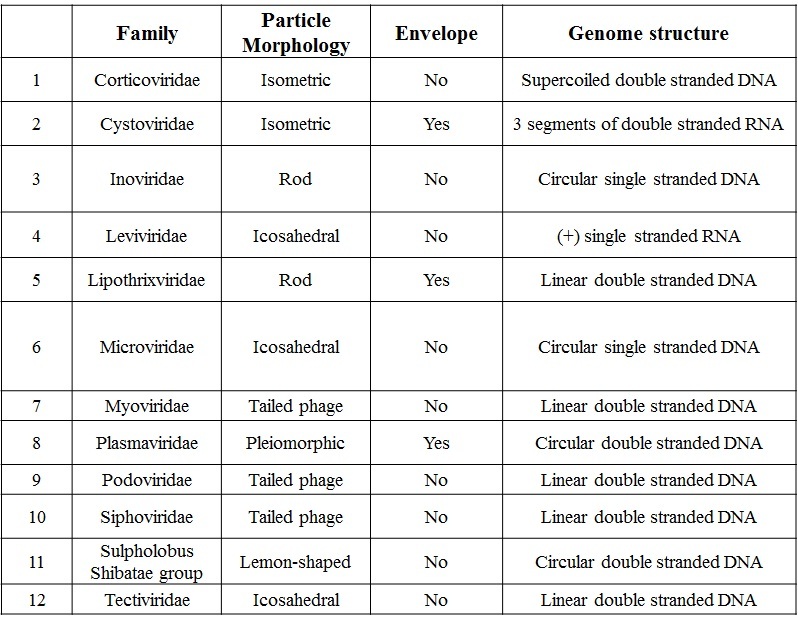 Fig 1: Generalized phage structure. Bacteriophages, first described by Frederick Twort and Felix d'Herelle are viruses that attack the bacteria. They ubiquitously distributed in environment. The association of phage and bacteria is so profound that if you can find the phage in a system, it associated bacteria should be there, with reverse also being true. Several phages have been well studied in lab and several new has been described in recent years. 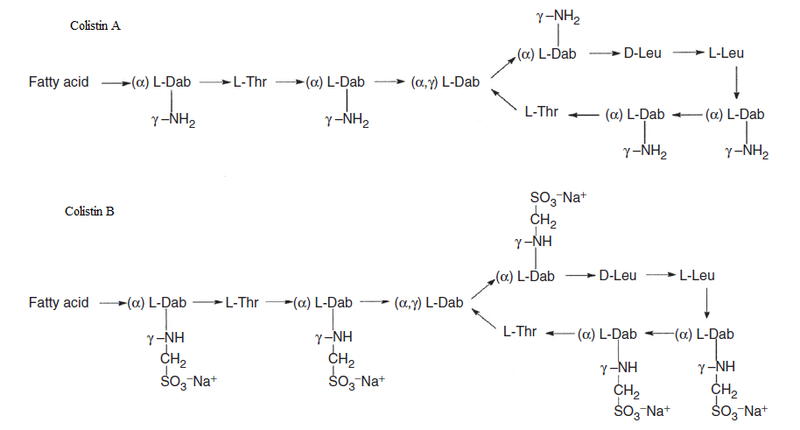 A classic textbook figure of structure is shown in Fig 1. The figure shows the structure of T4 phage. The structure consists of a head which holds the genetic material. The head is made up of capsid which is in turn made up of capsomeres and roughly prism shaped. This structure is more or less the same across all of the bacteriophages. The capsid is a tough covering and usually resistant to environmental stress thus being protective to the genetic material. The second component is the tail which is connected to head through a Neck (or sometimes referred to as collar). Tail is not a constant feature, as many members don't have a tail. Tail is often a hollow tunnel through which the genetic material can be transferred. This is surrounded by a covering called as sheath. Some of the complex phages at the end of tail has a specialized structure called as base plate. This holds tail fibres which are responsible for hooking of phages to particular receptors. There is great deal of genetic diversity when it comes to the bacteriophages. Phage metagenomics is a reality and a lot of what is called as genetic dark matter is in these phages. Nothing is known about these sequences. 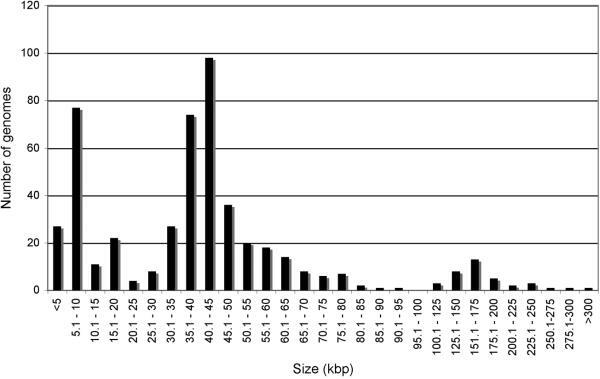 Fig 2 captures a summary of genetic size variation considering some of the known phages. Phages also comes in a variety of genetic makeups- DNA or RNA, single or double stranded. Each different type has a different replication strategy. Depending on the structure and organisation of the phage, there are at least 12 distinct group of bacteriophages known. Their properties are summarized in Table 1 (Adapted from source). 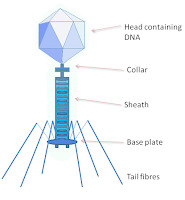 The basic steps in bacteriophage replication is quite common- Phage adsorption, Genetic entry, Genetic replication, synthesis of virus particle, assembly and finally phage release. The details differ based on the type of phage and host. The phage receptor complex (PRC) are usually located in an accessible region of the outer membrane of bacterial host (exceptions exist where entry mechanism is more complex). Most of the PRC that I have read about in literature are somehow related to porins regulated by operons. For example, in case of E coli lambda phage, J protein in the tail tip interacts with maltose outer membrane porin (part of maltose operon) and then DNA passes through mannose permease complex in the inner membrane. There are 2 modes of life cycle when it comes to phages- Lytic and Lysogenic life cycle. Lytic life cycle represents a quick paced infection and replication and then burst out of the cell. Lysogeny is a more relaxed life cycle, where the viral genome integrates with the bacterial genome and keeps silent. The bacteria replicates the gene for virus. Someday, if the viral gene decides that its time to leave, the machinery becomes active and turns up into a lytic cycle. Though it appears superficially to be a random process, each type of life cycle is a carefully guarded decision. Here is a simple explanation. Lytic life cycle is a process which allows the phage to infect new bacteria. Lysogeny is a mode where the phage takes advantage of bacterial replication machinery, without having to do anything by itself. Lytic life cycle would thus be useful only when the bacterial host is possibly in danger of loss such as stress. In other cases, lysogeny may help. It is arguable that this whole process has to do something with quorum sensing, but I'm not aware of any articles that has shown a direct relationship. Indeed, when the phage is in lysogenic state, phages can be awakened to their lytic state by inducing stress such as UV radiation. Interesting enough, quorum sensing mechanisms are demonstrated to induce resistance to phage invasion. At molecular level, the things are a little bit more complex. As an example, let us take the example of E coli phage lambda. Though the exact mechanism differs from phage to phage the overall principle remains nearly the same. The simplest principle can be stated as follows. There exists a competition between two phage repressor molecule: CI and Cro. In the event that CI repressor gains upper hand, lambda DNA becomes a quiescent prophage that integrates into the host chromosome and expresses only one gene, cI. If Cro gets the lead, then the phage turns on the lytic mode. The decision of which repressor wins is based on the expression pattern of other genes, A simplified circuit is shown in Fig 3. Now what determines the underlying gene expression pattern? One well known idea is the multiplicity of infection. In the event that several phages infect the same bacteria CI is made in more numbers. This leads to lysogenic conversion. This is useful since more phages per cell would mean that there are less number of bacteria available to infect and hence lytic cycle wouldn't be useful. Phage forms a very important interest these days. Phages are the next generation antibiotics. You would not like the phages to undergo lysogenic conversion if they are to be used as an antibiotic. This can be achieved by genetically engineering viral strains to not have lot of CI production. Also, Phages are some of the best medium for genetic exchange in bacteria. Further, phages themselves can contribute genes to bacteria that may increase the virulence. Many bacterial toxins are actually phage encoded genes. There also several examples of phage derived genetic product that are involved in antigenic conversion, effector proteins, enzymes, resistance factors etc. In this post I have talked about bacteriophages in a very short format, just in a introductory format. The genetics and molecular switches involved in decision making process is quite complex, and probably I could put a post on that on some other day. Bacteriophages form a different entity. Phages exist for others such as fungal and parasites. The working mode of fungal phages are still bizarre. For example, some fungal phages never leave the cell. They are transmitted via spores through mating. Perhaps all these are a topic for another future post. Once again, we returning back to the discussion of antibiotics. The last time I discussed about antibiotics was a post on use of predatory bacteria as a possible alternative for antibiotics and Teixobactin which was isolated from a soil microbe with potential activity. Though there are several lead compounds in pharmaceutical research which will possibly make a good antibiotic, the claim has been that there is no new class of antibiotic. There have been a couple of publications in the past on chemicals of interest that are completely different in their approach compared to traditional antibiotics. However, to date we don't have any of these in the shelf. As early as the 1950's antibiotics were discovered through screening. Several thousand natural compounds were purified and tested against bacterial isolates to look for potent activity. One such example is streptomycin. Merck used a similar approach. Only that instead of the natural compound, they screened their synthetic compounds library via a method of high throughput phenotypic screen. This lead to identification of ~57,000 synthetic small molecules which potentially inhibited E coli. The researchers then argued that riboflavin pathway was specific to bacteria and hence an inhibitor would be of great interest in this category. So they screened the E. coli strain (MB5746) defective in wild-type lipopolysaccharide (LPS) levels and drug efflux was selected. to identify if the riboflavin pathway was involved in action the researchers setup a rescue assay. The principle being that if riboflavin synthesis is effected, by adding riboflavin the bacteria would be able to grow despite the presence of antibiotic. Fig 1: Structure of Ribocil. One such chemical identified in the process was Ribocil. The next step is to identify the mechanism. First, in an independent experiment, they created resistant E coli mutants. Most commonly, it is done by serial subculture of strains at sub lethal MIC levels. These strains were labelled as RibocilR . By comparing whole genome sequences between resistant mutants and parental strain, several mutations were identified. What do you expect? A mutated enzyme. However, it was seen that all the mutations were in a gene called RibB which indeed was an enzyme in the synthesis pathway. Just that mutation was not in the coding region. It was in a non coding RNA region- the Riboswitch. Quoting from the paper, "Based on the functional role of the FMN riboswitch and that all ribocilR mutations map to this regulatory element, we hypothesized that ribocil inhibits riboflavin biosynthesis directly by mimicking the FMN ligand and binding to the FMN riboswitch to inhibit ribB expression". Let us digress a little. What is a Riboswitch? There are several mechanism by which protein transcription is controlled. It depends on environmental condition as to what are the proteins that needs to be produced and what concentrations. One of them is regulation of mRNA itself. Ribsowitches are a region most commonly seen in 5'-UTR regions. They have a specific folding which allows its interaction with other proteins. The loops can be opened and mRNA readable for protein synthesis through the control of this region hence acting as a switch. In this case, as Howe puts it, "So instead of regulating the enzyme itself, ribocil is regulating the production of the enzyme". For the first time ever, a riboswitch-binding molecule that is not a close structural analogue of a metabolite ligand is discovered. This study has brought up some interesting discussion, on how this study is insightful. For example, HIV is a hard to beat virus. HIV encoded non coding RNA's has been studied for a longtime (Link). It has been suggested that a similar approach maybe tried for HIV to identify potential therapeutics. A article published in 2014, has shown that a site in HCV called as Internal Ribosomal Entry Site (IRES) can be attacked by using small synthetic molecules (Link). On an important note, the chemical is still a long way though from making it to the shelf and mutations arise easily. 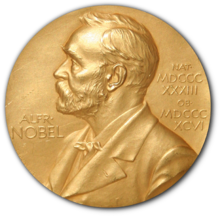 For the year, 2015 Nobel awards under different categories of science has been announced. Congratulations to the winners. This years award under the category has been split into two half. 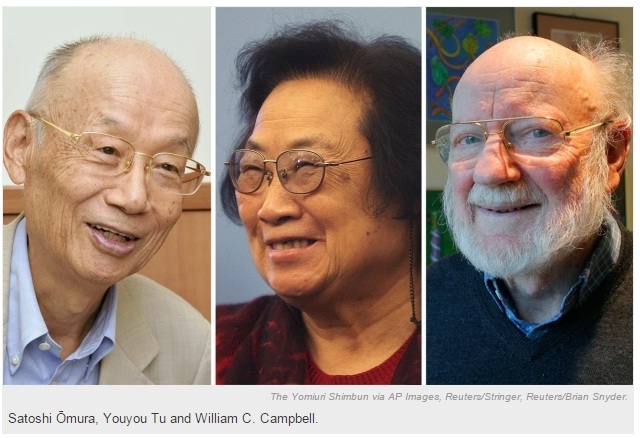 First half goes to William Campbell and Satoshi Omura for their contribution to development of avermectin class of drugs to treat river blindness and lymphatic filariasis. The second half of the award is honored to Youyou Tu (Also won Lasker prize in 2011), for contribution to development of the antimalarial drug artemisinin. 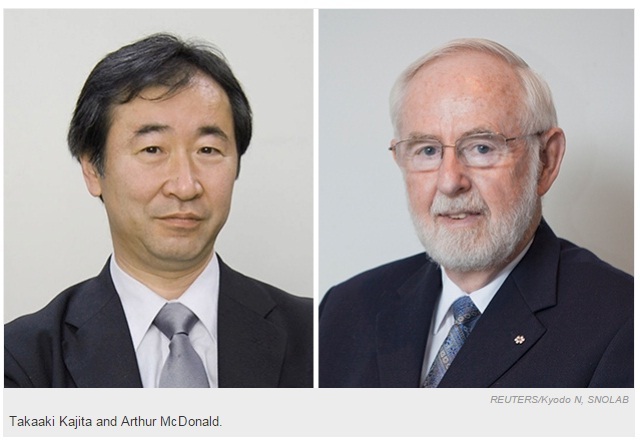 Takaaki Kajita and Arthur McDonald have been awarded under the physics category for their work demonstrating that neutrinos, as they travel can change mass at a varying rate, depending on the state thereby convincingly proving that the ghostly particles have mass. The study finally solved a longstanding problem in "standard model" of particle physics. 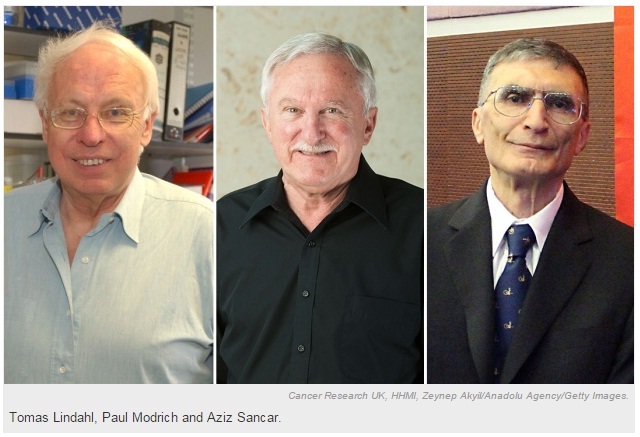 Recognition under this category has been awarded to Tomas Lindahl, Paul Modrich and Aziz Sancar for their work on DNA repair (Actually that sounds so much like physiology). The work described DNA repair mechanisms- base excision repair (by Tomas Lindahl), nucleotide excision repair (by Aziz Sancar) and mismatch repair (by Paul Modrich). The current local news on "Dengue" in India is gaining fast pace. With Delhi on spotlight, dengue cases have become one of the most talked about topic, and has left most people searching for information. Sadly, the news and material is quite scattered and there is no clear picture. So let me put the current picture in perspective. I have earlier written about dengue in my earlier posts (Link). Here is a quick summary. Dengue is a mosquito-borne infection caused by a flavivirus member. The icosahedral structured virus contains a genome of single positive-stranded RNA, about 11 Kbp in length coding for 3 structural (capsid protein C, membrane protein M, envelope protein E) and 7 non structural proteins (NS1, NS2a, NS2b, NS3, NS4a, NS4b, NS5). The vectors commonly known to be involved in transmission are Aedes aegypti and Aedes albopictus. They are reportedly prevalent in the north-east region of India. The virus has four closely related types DEN-1 to DEN-4. 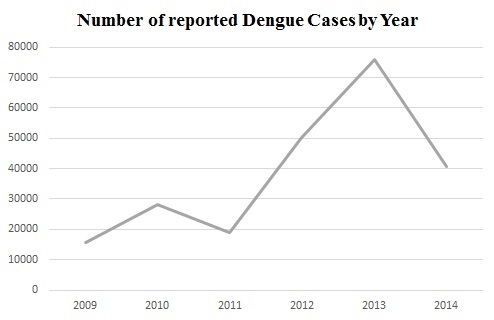 Fig 1: Dengue Cases reported in India (2009- 2014). The epidemiological data on number reported cases of dengue in India is documented, updated and published by NVBDCP. It has been stated that the dengue surveillance is not good in the country and the number of cases reported is far less than actually is the case. Yet from the data, I made a graph, to give an idea on the number of cases. It is evident that in recent history, 2013 represents the worst with a total of 75808 cases. However, the number of deaths was proportionately less. 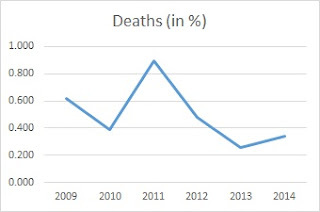 Relying on the same data, I have plotted a second graph to get you the idea of deaths. So, why all this sudden media attention? As per government's Press Information Bureau, “It was noted that at national level, there has been decrease in the number of dengue cases detected with 75 808 cases in 2013, 40 571 cases in 2014, and nearly 21 000 cases in 2015 up to second week of September and the recovery has been in more than 99.9% of cases”. As of on 5th Oct, 2015 Delhi alone has recorded 6500 confirmed cases. In nearly 15 days, the total number of cases has nearly doubled. The number of case was 3791 as on 20th Sept, 2015. That's why it is a news. 20, Sept 2015, for year 2015. This prompted me to look into the statistics, once again. Is Delhi the only affected? I don't have latest data. So I will once again rely on the NVBDCP, statistics, published as of on 20th Sept, 2015. 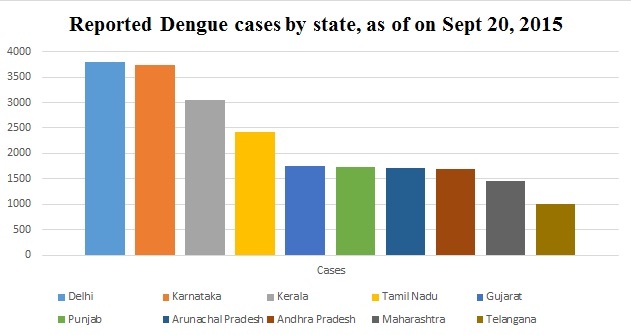 I selected the top 10 states reporting Dengue cases. Of course, by the time I'm posting this the data is almost obsolete, since the numbers have drastically changed. Bu the following graph will still throw you the idea. It has been speculated that the sudden spurge in number of cases is possibly due to monsoons and increased mosquito breeding. According to the report inefficiency in removing stagnant water from premises and in undertaking fumigation to control mosquitoes, and the emergence of a rare strain (type 4) of the dengue virus, everything contributes.Vector control programs have thus been intensified to control the problem. Diagnosis is usually through commercially available ELISA kits, testing for IgM antibodies. PCR is the best option but expensive. Currently, a lot of reports is based on rapid diagnostic tests, with good probability of false positive reactions. The government is considering banning such tests so as to get a better diagnostic report. A second issue of concern that has been widely circulating in the news is the factor of under-reporting. Let me clarify the issue. 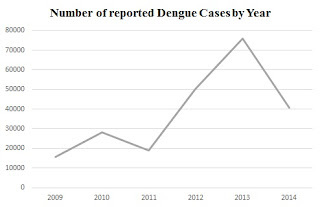 Dengue is not clinically evident in a proportion of population and hence that percentage is lost in reporting. A study by INCLEN Study Group had made a claim that annual number of dengue fever cases in India could be 282-times higher than the number. There are some serious limitation in the original study. First, the data was generalized for the country based on data from Madurai, only on tested dengue cases. Second there was a inability to collect a proportion of data due to lack of documentation. In case you are still curious, the global statistics are not that great. The latest estimates is about 390 million dengue infections per year of which 96 million (about 24.6%) manifest clinically. Also various reports have indicated that the numbers reported are increasing in several places. However, it is not entirely clear if it is because of increased number of cases or there is simply better reporting. On a final note, as of yet this is not the worst case scenario as reported by most of the media. The cases is still way below what it was in 2013. But I agree that we need better surveillance and preventive measures. Bacterial fitness: Not the way we thought!! The aim of this blog is to share my appreciation and passion in microbiology research to an audience seeking information. I believe science is interesting in context basis than the study itself. Webpage- Varun C N. Picture Window theme. Theme images by A330Pilot. Powered by Blogger.